This year not only marks the 25th anniversary of my band Bigger Thomas, which we celebrated earlier in the year with the release of "Ska In My Pocket: The Biggest & Bestest of Bigger Thomas," but it also has represented a musical renaissance of sorts for me and my fellow Bigger Thomas band members. Between Bigger Thomas and our new musical project Rude Boy George, we've spent more time in rehearsal and recording studios during the last six months than we have over the last six years! 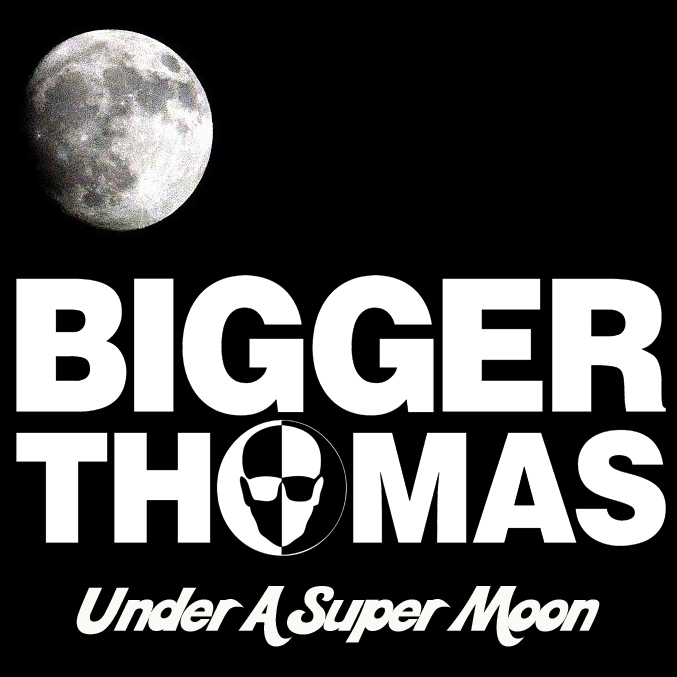 To further celebrate being a part of the upcoming 2-day, Apple Stomp ska festival here in New York City this coming weekend, we have just released "Under A Super Moon" which is a 2-song EP of brand new music on the Electric Avenue label (more on that soon). 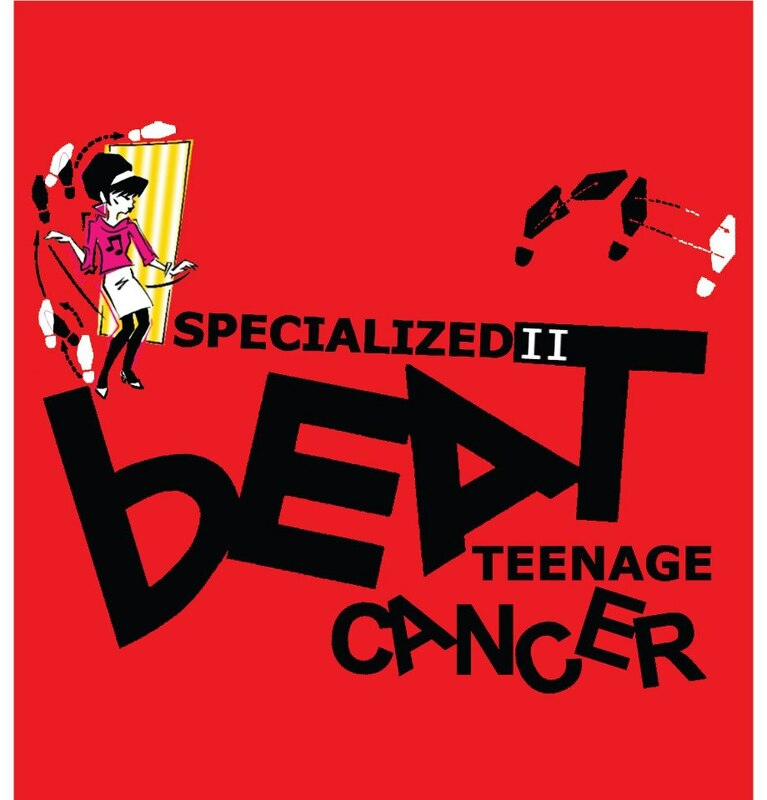 We have also recorded and contributed a cover of The English Beat's "Sole Salvation" for the forthcoming Specialized 2: Beat Teenage Cancer CD that will benefit the Teenage Cancer Trust in the UK. The two CD collection of 44 tracks worth of songs is now available for pre-sale. The title track of the EP, "Super Moon" was inspired by and is dedicated to the memory of Tommi Infamous, the singer of New Jersey ska band Bomb Town. The last time I saw Tommi was at a show we played in Brooklyn with him on the night of a Super Moon in March, 2011. Tommi was DJing and chatting over records and we were playing a live show. I watched his set after we performed. He was funny and weird and doing his thing. We caught up during a long subway ride back to Manhattan and talked about the unusually large and bright moon in the sky that night and how it might be affecting aliens, werewolves and animals! The conversation stuck with me and I wrote lyrics to the song inspired by that unusual night. Little did I know that it would be the very last timeI would ever see Tommi. The "Under A Super Moon" EP is available as a digital download for $2 from Bandcamp. My band mates and I hope you will consider giving it a spin and maybe even buying it (the price is right!). Many thanks for your consideration! The Story Behind Latin Quarter's 1986 Socially Conscious Pop Reggae Song "Radio Africa"
No one prepared me for how wet and dreary England can be in January. I arrived at Essex University in Colchester in early 1986 during a rain storm that seemed to last a week. It was still winter break, so the bleak campus (situated next door to a British Army base that trained soldiers for duty in Northern Ireland) was even grayer and more desolate than usual while most of the British students slept off their New Year's hangovers back at home. As one of a handful new American students, I was placed in an aging tower block with a small group of international students and first years from across the U.K. Those first few days in a tiny cinder block room were a complete culture shock, as I realized I would be on my own for at least 10 days before any classes would begin. So with just my books and a small radio/cassette player to keep me company, I listened to BBC Radio One and Radio Caroline day and night while I filled my time writing homesick letters to family and friends. It was during those extended hours of listening to mid-80's, British pop and rock music that I noticed an incredibly mournful, but excessively catchy pop reggae track "Radio Africa" by a band called Latin Quarter. 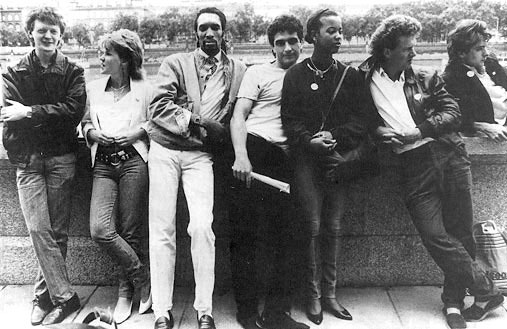 Sounding like a cross between UB40's "Food For Thought" and Billy Bragg's political tinged folk songs, "Radio Africa" lamented the social and economic impact of Western economic aid on the state of newly independent African countries who struggled with crushing debt payments, Dictators, civil war, famine and the horrors of apartheid. I was transfixed by the song, which sounded like a political science and history class set to a reggae beat. In fact, the lyric writer for the band, Mike Jones, was a former University history professor who sent his words to the band's singer and guitarist Steve Skaith. The song was everything I hoped I would discover on my musical journey while living and attending school in the U.K. and it got me through those first few difficult weeks of a lonely time. 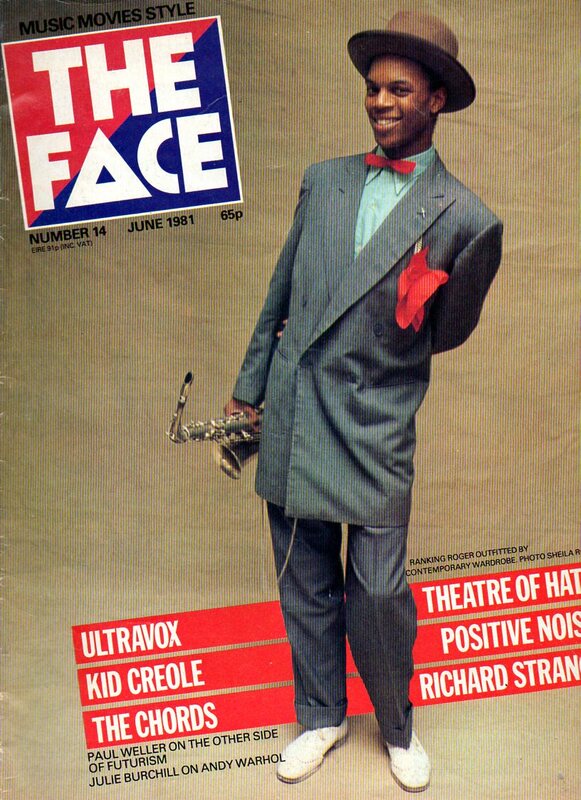 And when I happened to catch the band performing on Top Of The Pops a few days after hearing them on the radio, the bands performance appealed to my yearnings for 2-Tone music. They'd do better to change the terms of trade. When the hands on the purse strings are white. Indeed, in a post 2-Tone records era that came to an end during the Reagan Administration back at home and the height of Thatcherism in the U.K., "Radio Africa" (which was included on the band's excellent but overlooked album "Modern Times") quietly channeled the socially conscious rage of the The Clash, The Specials and The Selecter into an intelligent and thoughtful meditation on geopolitics. As it turned out, the band and "Radio Africa" made an impression on the British music buying public, reaching as high as #19 in the charts. 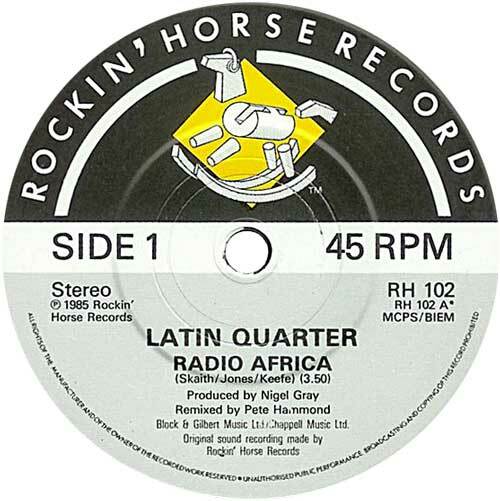 Nevertheless, Latin Quarter was an anomaly in the world of pop music -- and musically "Modern Times" was very diverse - rock, reggae, dance and ballads. Just as the musical style was diverse so were the songs topics including McCarthyism, football violence, imperialism in Africa, racism and the social ills of the U.S. With striking artwork from James Swinson that eerily foreshadowed 9/11, Modern Times" remains a classic album. Unfortunately "Modern Times" was never heard by a large selection of the UK record buying public because of the nature of daytime radio broadcasting in the UK. A good case in point was the haunting "America for Beginners", it received outstanding reviews on Radio 1's record review by the presenter and all the musicians on the show but received no daytime airplay essential for chart success. So although "Modern Times" sold well in Europe and went top twenty in several countries including Germany it didn't achieve the same success in the UK. 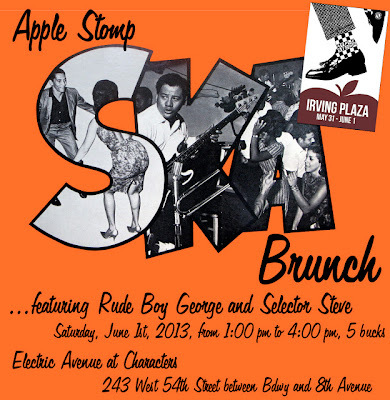 Apple Stomp "Ska Brunch," Saturday, June 1st from 1-4pm! In conjunction with the upcoming two-day Apple Stomp ska festival at Irving Plaza on May 31st and June 1st, Electric Avenue (run by Steve Shafer of Duff Guide To Ska and yours truly, Marco On The Bass) is hosting the Apple Stomp "Ska Brunch" on the afternoon of the second day of the festival. The Apple Stomp "Ska Brunch" will take place on Saturday, June 1 from 1:00 pm to 4:00 pm (before that night's Apple Stomp show with The Slackers, Spring Heeled Jack, MU330, Mephiskapheles, The Pietasters, The Scofflaws, Westbound Train, Thumper, and Bigger Thomas) and features Rude Boy George doing their cool ska, reggae and rocksteady covers of New Wave classics and Selecter Steve spinning a mix of vintage ska, rocksteady, reggae, and New Wave. You can find Electric Avenue in the back room at Characters NYC (243 West 54th Street, between Broadway and Eighth Avenue)--a short subway ride away from Union Square and Irving Plaza. The Apple Stomp Brunch is an all-ages event and the door is a mere $5.00 (all of which goes to the band). 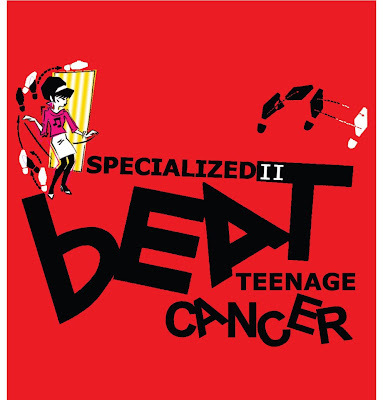 The Specialized 2 - Beat Teenage Cancer compilation is now available as a pre-order! The brainchild of Paul Williams, author of "You're Wondering Now The Specials from Conception to Reunion" and admin of The Specials fan website, the double CD collection features 44 unique and diverse covers of The Beat's entire song catalog. Sales of the compilation and proceeds from a series of live shows (including a 3 day festival this fall headlined by Ranking Roger's version of The Beat) are all slated for the Teenage Cancer Trust (TCT) in the U.K. The Specialized project, was conceived by Williams in September 2011 after he watched a TV program about young people with cancer in the UK. At that point, The Specials had just played a prestigious gig at The Royal Albert Hall in aid of the TCT charity. This inspired Williams to come up with the idea of an album of cover versions of songs by The Specials recorded by modern day artists. This was born "Specialized- A Modern take on Specials Classics." Like its predecessor, this compilation has the full support of members of The Beat. Both Dave Wakeling and Ranking Roger have tracks on the album --Wakeling has re-recorded "Mirror In The Bathroom" and Ranking Roger appears with Hunt Emerson's band The Spritely Allstars (Emerson is the designer of the Beat girl logo) on the track "Two Swords (Majestic Mix)." They have been joined by other 2-Tone era stars Neol Davies and Charley Anderson of The Selecter and Rhoda Dakar of The Bodysnatchers who have also contributed songs. The album also highlights the best current ska, reggae and rock bands playing in the U.K., Australia, Czech Republic and the U.S. (featuring songs from Buford O'Sullivan and my band Bigger Thomas). Below are two video track samplers, as well as a short snippet of my band's version of "Sole Salvation." Here is the full track listing for the double CD. It will also be available as a digital download with extra tracks via iTunes, CD Baby, Amazon and Spotify. There is a rumor the compilation may also be issued on vinyl. 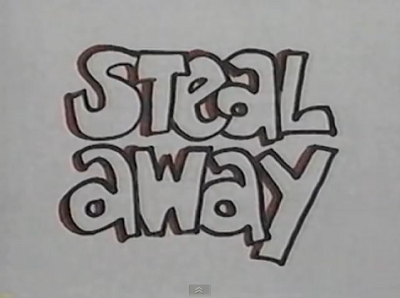 The Internet has unearthed another rare ska gem! A rare and unreleased full length indie film from the early 1990's titled "Steal Away' directed by Jack Sherman and staring Dan Vitale (in a classic Bouncing Souls t-shirt), Vinnie Nobile and their Bim Skala Bim bandmates has just surfaced. The star-crossed couple battle it out over many difficult issues like dominance, quality time, and the price of true artistic expression. Karen's father, Police Sgt. James Goldman, (Mr.Jimmy Miller- rockstar producer of The Rolling Stones, Traffic, Blind Faith, and Motorhead) has never liked Dan or the idea that he has dated his daughter for the last three years. Tempers begin to boil as Karen's new boyfriend Matt, (Ted Vitale, WHAT Theatre Wellfleet, MA) and the Goldmans realize that Dan may have something to do with Karen's untimely disapearance, and the search is on. The awesome punk/ska and reggae soundtrack features performances and music from many of Boston's most popular bands: Bim Skala Bim at Fort Apache Studio, The Mighty Mighty Bosstones at TT The Bears Place, Dogzilla at The Paradise, Human Nature at the (now defunct) Channel Club, Steady Earnest and many more!" Watch the full film in its entirety for the first time below! Lee Thompson Ska Orchestra Preview First Single From New Album "The Benevolence Of Sister Mary Ignatius"
In the Spring of 2011, Lee Thompson and Mark Bedford, two founding members of Madness, met at a rehearsal studio in London with the idea of playing - and paying tribute to - the 60's Jamaican ska and reggae music that had inspired them as teenagers to start the band. They enlisted an assortment of musicians (including Thompson's brother-in-law) whose playing they respected and with whom they enjoyed playing. The original goal was to have fun; do a few gigs; and take it from there. However, The Lee Thompson Ska Orchestra quickly took on a life of its own. The gigs were well received and the next logical step was to try and capture the energy and passion of the live shows on tape - old school JA style. 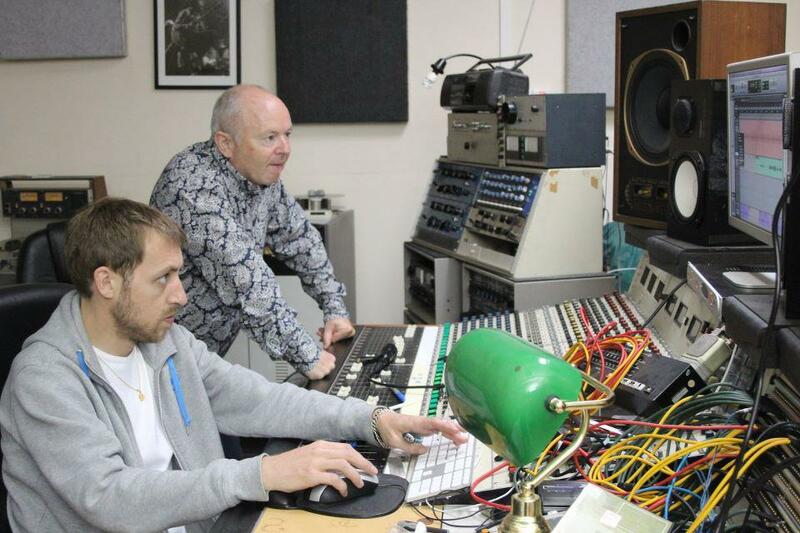 The band convened at The Ironworks in Brighton, UK, home of Mike Pelanconi (AKA Prince Fatty) who is famed for his ability to capture the authentic sound of the Studio One sessions of 60's and 70's era Jamaica (see photo of Thompson and Pelanconi mixing the album below). The recordings sounded so good, that Dave Robinson, founder of Stiff Records (Madness, Elvis Costello, Ian Dury), got involved and suggested a guest vocalist. Enter UK reggae singer and producer Bitty McLean who contributed his vocals to the first single, a cover of Desmond Dekker's hypnotic track "Fu Man Chu" which is being released on May 27th. With other songs in the can by reggae legends John Holt and Lyn Tait, as well as versions of King Curtis’ "Soul Serenade" and Lalo Schifrin’s "Mission Impossible," the band is ready to release "The Benevolence Of Sister Mary Ignatius" which is named in tribute to the woman who opened and operated the Alpha Boys School in Kingston. Jamaica which offered education, musical training and opportunity to several of the earliest Jamaican ska musicians including Don Drummond. 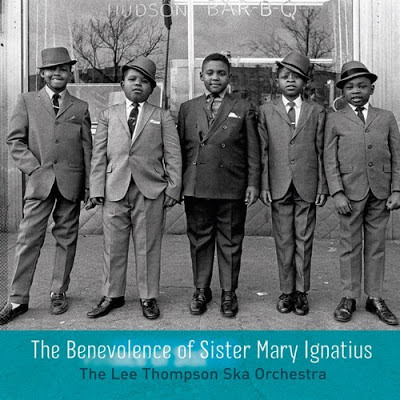 “The Benevolence Of Sister Mary Ignatius” will be released on June 11th 2013. You can pre-order a copy on Amazon in the U.S. and Amazon in the U.K. In the meantime watch a video below for "Fu Man Chu" which was directed by Robinson (who also directed many of the early videos for Madness). 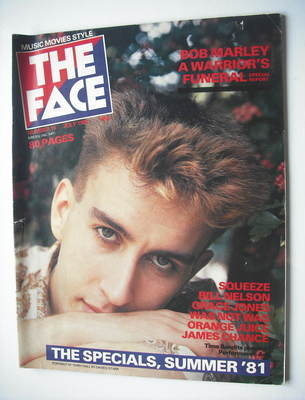 Its fair to say that The Face changed the publishing industry forever. 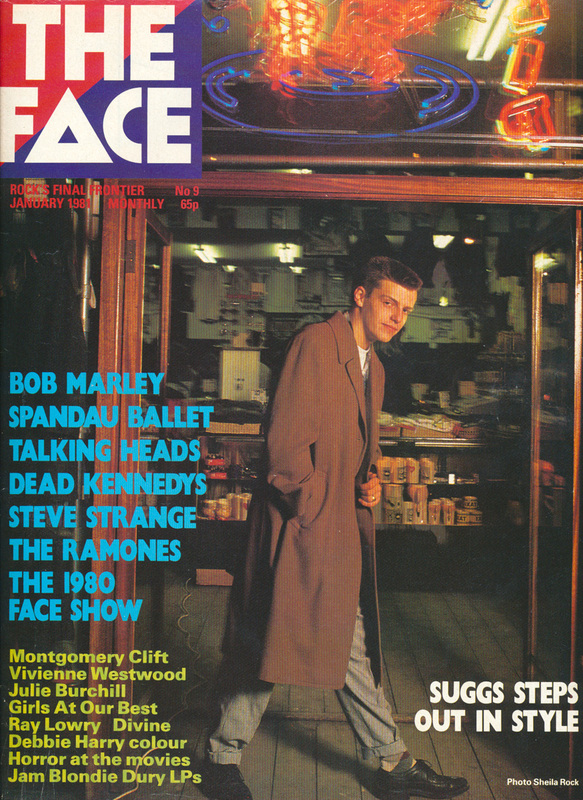 Launched 33 years ago this month by Nick Logan with Jerry Dammers of The Specials on the cover of the inaugural issue, the magazine covered topics that had previously been dismissed by the traditional UK music press as lightweight and inconsequential. More importantly, Logan and The Face took a high-minded approach to celebrating the style trends of early 80's youth culture, including 2-Tone. And while that might not seem particularly revolutionary in the digital age in which we live in now, it was during the early 1980's in the U.K.
"This was the launch issue. 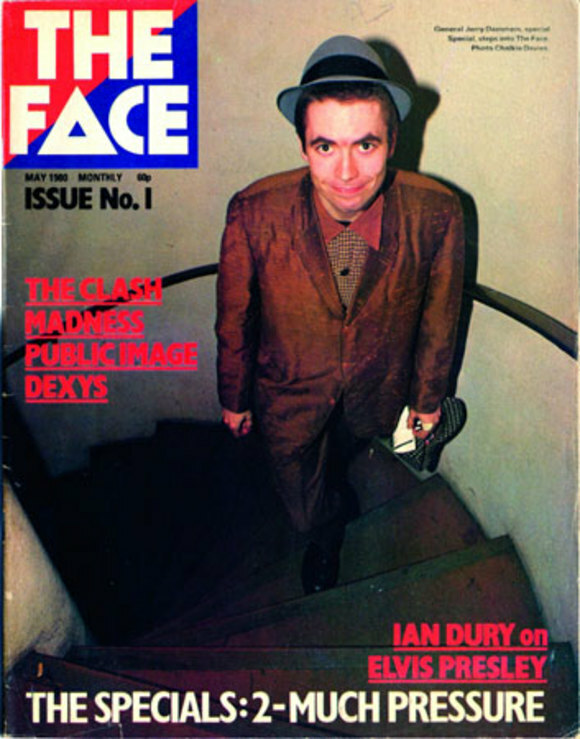 I had been advised that “The Face” was too abstract, and I should have the word monthly in the title, and I knew I could find something more current for a first cover than the Specials. But they embodied everything the magazine aspired to – they had a look, a passion, and great music – so there was never an alternative. In a ­sentimental way too, I owed 2 Tone a debt for the inspiration to pursue the idea. And, as it was my savings at risk, I could call it what I liked – after all, the Face was to be my escape from a career where too often I struggled to ­explain myself to publishers or committees. No focus groups here: I was purely, wholeheartedly, ­following instinct." Listen to an interview Logan did with The Guardian here and read a great interview Logan did about the founding of The Face here. After the initial Dammers cover issue, Logan featured other stars from the 2-Tone stable on three covers alone in 1981 -- Suggs of Madness (January 1981 cover issue), Ranking Roger of The Beat (June 1981 cover issue) and Terry Hall of The Specials (July 1981 cover issue) as well as Fun Boy Three (April 1982 cover issue). See the covers below.